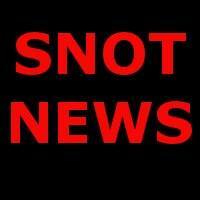 Snot News | If it is in the News, it is Snot News! Welcome to Snot News. A web dedicated to keeping up to date on current events. We will provide relative links and video segments from around the world. Snot News is a part of Red Dragon TV. Our Studio hails from Madison WI USA.